Samsung released a new app this past week called SoundAssistant. 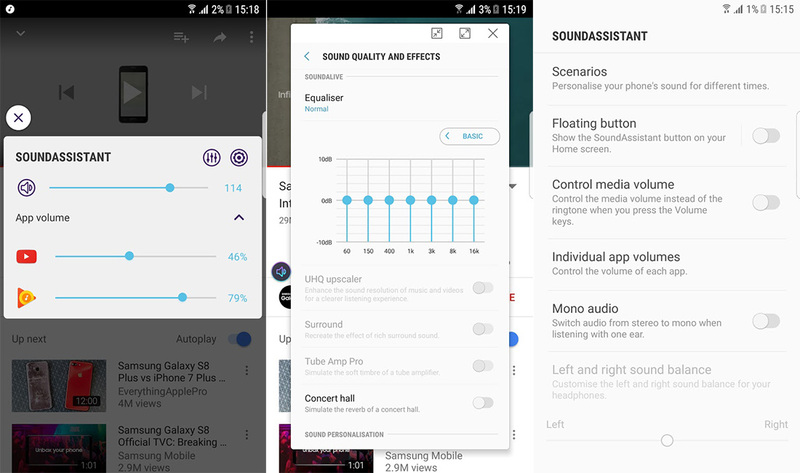 The app attempts to give you new control over your device’s audio that you probably wish you had always had. We’re talking about controls over individual app audio, an always accessible floating button for audio controls, and specific scenarios depending on time of day or location. The app is free right now for Samsung Galaxy owners with the S8 or S7. If you have another Samsung device, feel free to hit that link below and see if it’s available.